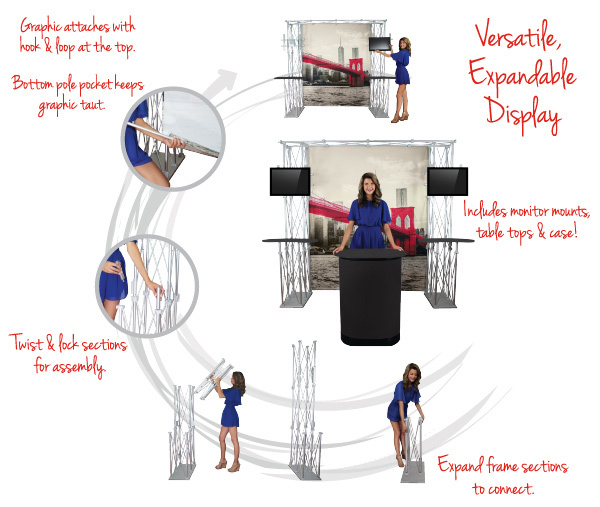 Giant Printing wants to be your vendor of choice for Trade Show, Convention Displays and Promotional Products. 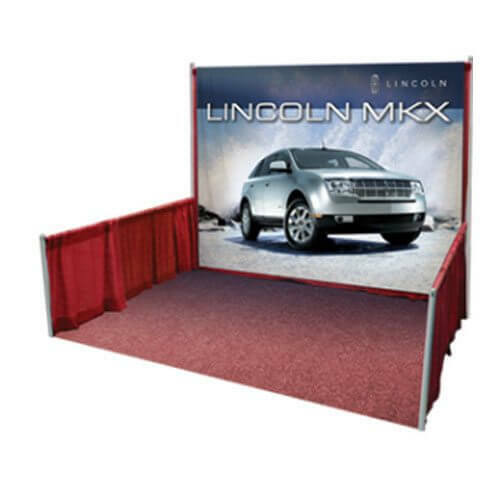 From Logo Table Covers, Giant Fabric Backdrops to an 8’ x 10’ Fabric Pop Up Displays, we provide hi-quality Fabric Backdrops, Banners, Banner Displays, Table Runners and more for trade shows and conventions across the country. 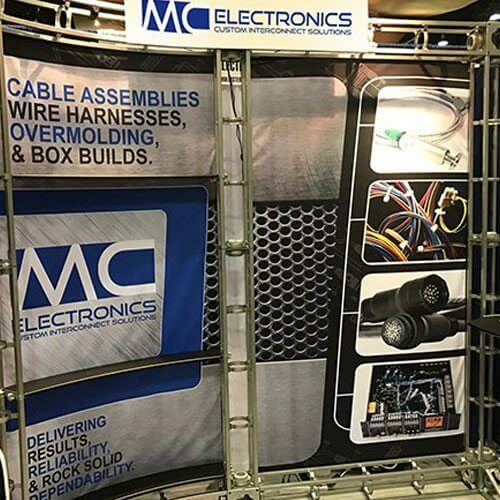 With an estimated 1.8 million corporate and business meetings, trade shows, and conventions, in the U.S. each year, 205 million people flock to trade shows to learn more about a specific industry and to make purchases. 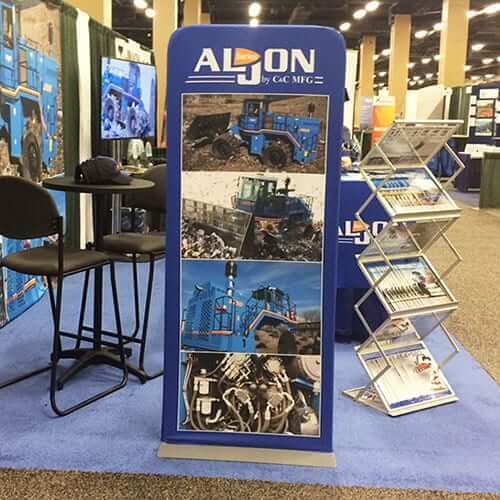 First impressions can make or break a deal. 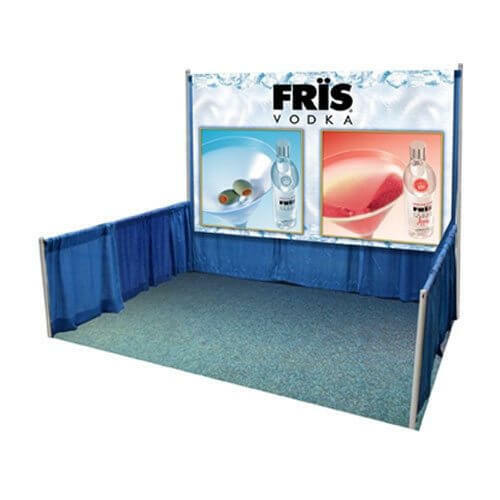 Stop being embarrassed when surrounded by competitors with better Trade Show Displays. 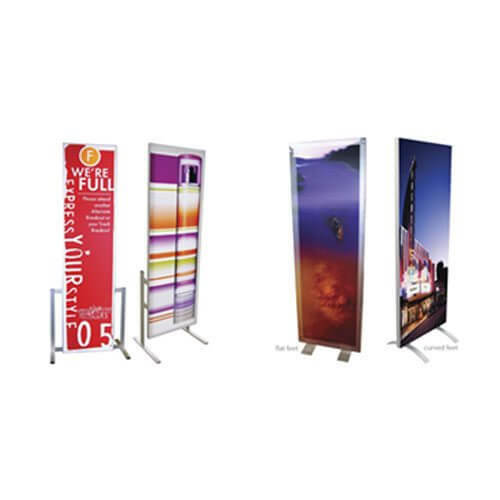 Are you looking for a smaller way to advertise your business, but with the same impact? 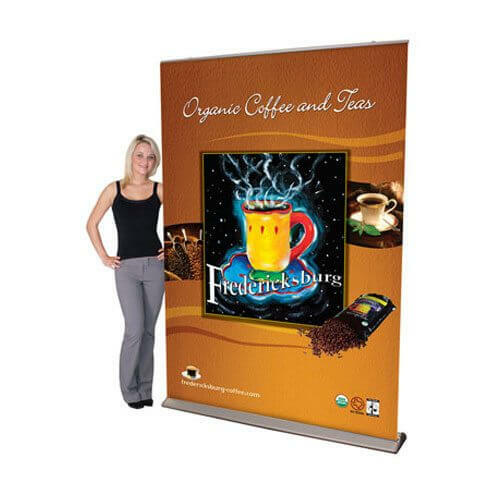 Giant Printing offers durable and reliable fabric banners that are light weight and portable. 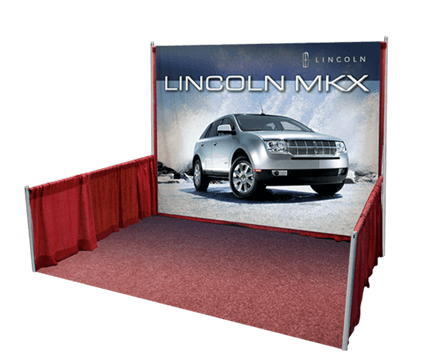 With our Fabric Banners, you will always make a great first impression whether you are using them indoors or outside. You don’t have to worry about your image cracking, scratching or peeling. 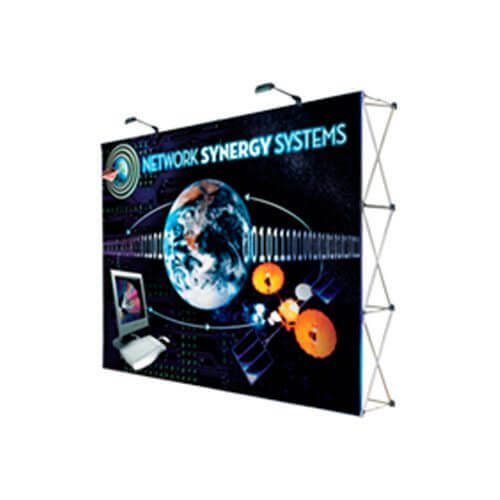 The fabric standee graphics are made with durable, high-quality opaque fabric and have zero issues with glare. All of our printing is done in-house with US made fabrics. 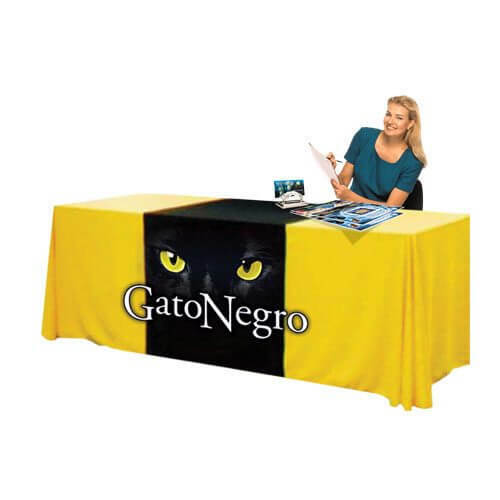 All fabrics for printing are made using synthetic fabric that limits mold growth. 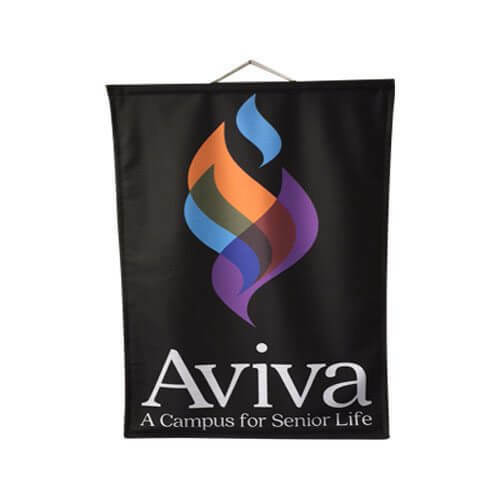 Our printer provides high-quality printed fabric that is customized by the image you provide or request. After the fabric is printed on, the ink is heat set to prevent it from running. 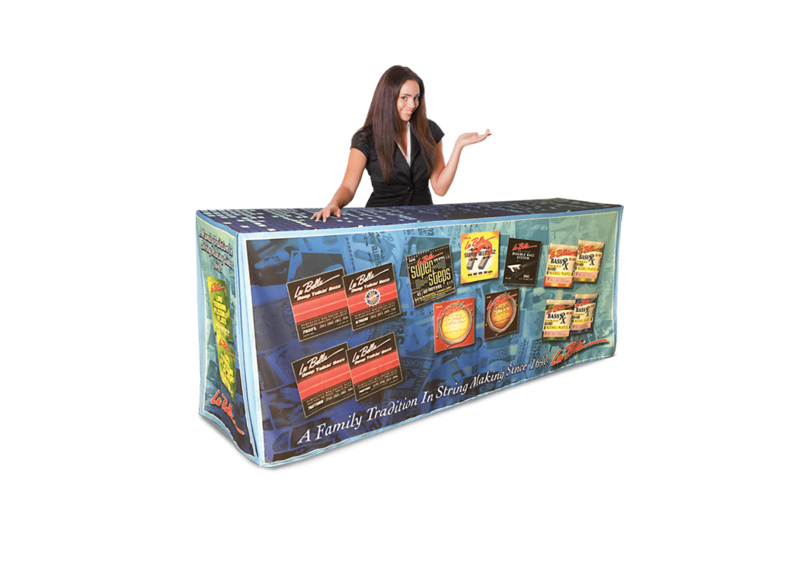 A variety of sizing options available, including large-scale prints or even multiple small prints that create one larger image. 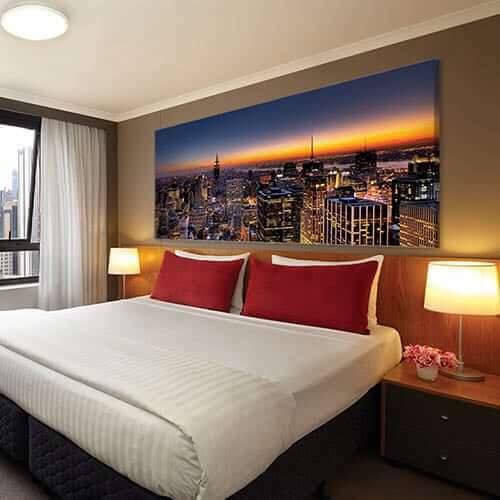 Printed fabric is suitable for office building atriums, office signage, house interiors, and more.